Happy Thursday! Are you ready to see who the winners for the blog hop are? Congrats Ladies! Please email us at admin@jadedblossom.com with your address. Now on to Kim's gorgeous project! Hi there! My In-laws are celebrating their Anniversary there 38th Anniversary this weekend and I was so excited to use the Jaded Blossom Wedding Wishes set! This set is perfect and can be used for so many celebrations! I used Tie The Knot Cricut Cartridge for the image and added some faux stitching and pearls! Congratulations to the Winners. Beautiful Card Kim and a Happy Anniversary to your in laws. Congrats to all the winners! Kim. This is so pretty! Your inlaws will love it. 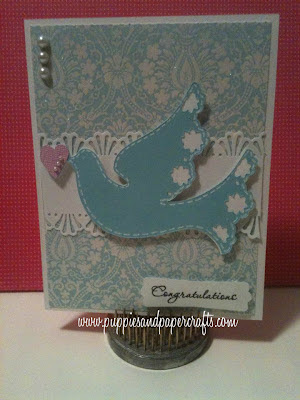 Oh and Kim your card is gorgeous~ I was so excited I forgot to tell you! Congratulations to everyone!! 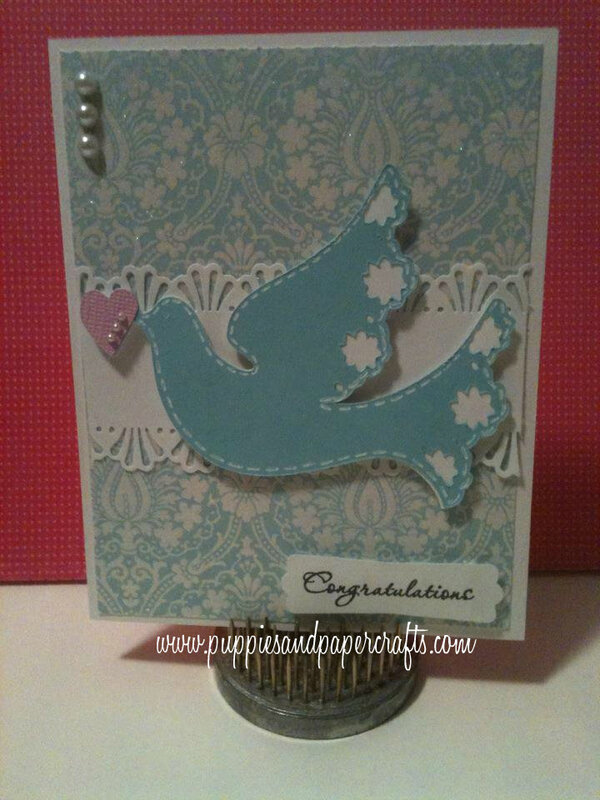 :0) Kim-pretty card! Congrats to the winners! Kim, this card is amaaaaaaazing! Woo hoo!!! Thank you so much!!! Kim... beautiful, beautiful card! Congrats to the winners and your in laws Kim! Lovely card hun! How cool... thank you so much! Your card is awesome, Kim! !